India is celebrating the 100th birth anniversary of the Marshal of the Indian Air Force Arjan Singh, Distinguished Flying Cross (DFC). The decorated officer served as the Chief of the Indian Air Staff from 1964 to 1969. Arjan Singh was born on 15 April 1919 in Lyallpur, now known as Faisalabad which is part of Pakistan. The decorated officer was 19 years of age when he was selected for training at Royal Air Force (RAF) Cranwell in 1938 and the course among his batch of Indian Cadets. For displaying outstanding leadership, great skill and courage in the Burma Campaign during World War II, Arjan Singh was awarded the DFC in 1944. In August 1945, Wg Cdr Arjan Singh was selected to undergo the RAF Staff College at Bracknell in the United Kingdom. Sam Manekshaw 105th Birth Anniversary: Remembering Indian Army's 1st Field Marshal With His Memorable Quotes! On August 15, 1947, Singh led the flypast of over a hundred IAF aircraft over the Red Fort and on the same day assumed the command of Air Force Station, Ambala in the rank of Group Captain. In 1949, Air Commodore Arjan Singh took over as the Air Officer Commanding of Operational command, which later came to be known as Western Air Command. The decorated had the distinction of having the longest tenure as the AOC of Operation Command, from 1949-1952 and again from 1957-1961. After getting promoted to the rank of Air Vice Marshal, he was the AOC-in-C of Operation command. Towards the end of the 1962 war, he was appointed the DCAS and became the VCAS in 1963. As Chief of Air Staff, Air Marshal Arjan Singh led the IAF in the 1965 War against Pakistan. Under his leadership, the IAF was able to blunt the Pakistani armoured thrust at Chamb, gained air superiority over the Pakistan Air Force (PAF) which helped the Indian Army in scoring Strategic victories. Air Force Day 2018 Celebrated With Show of Might by IAF; Here's The Significance of This Day, Watch Video. For his distinguished service in commanding the IAF during the Indo-Pakistani War of 1965, he was awarded the Padma Vibhushan. After the war, the then defence minister of India YB Chavan lauded him for his able leadership. In 1966, Arjan became the first IAF officer to be promoted to the rank of Air Chief Marshal. On completion of five years as the Chief of the Air Staff in two ranks, Arjan Singh retired on 16 Jul 1969. During his career, Arjan Singh remained a flyer till the end of his career. He flew more than 60 different types of aircraft ranging from Pre World War II-era planes to the supersonic MIG-21. In 1971, Arjan Singh was appointed as India’s Ambassador to Switzerland. Three years later, he was appointed as the country’s High Commissioner to Kenya. Arjan Singh also served as a member of the minorities commission in 1978. In 1989, he was made the Lt Governor of Delhi. 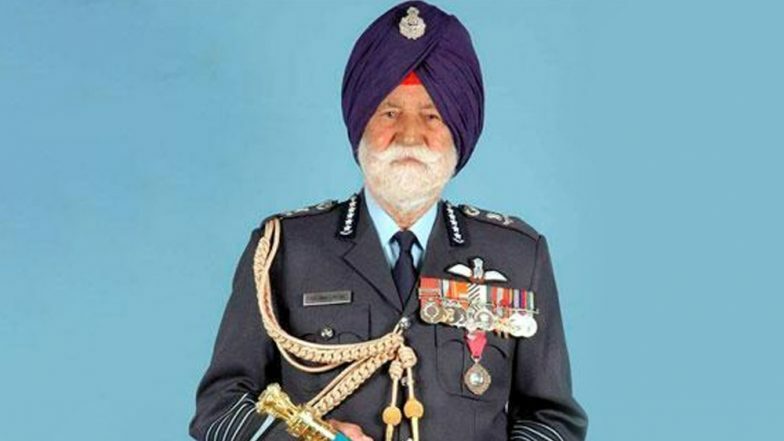 In recognition of his services, the Government of India conferred the rank of the Marshal of the Air Force onto Arjan Singh in January 2002. He was the first and the only 'Five Star' rank officer of the IAF. Arjan Singh's health deteriorated in the final stages of his life. Marshal of the Indian Air Force Arjan Singh died at the age of 98 years on September 16, 2017, after suffering a cardiac arrest.